Tamika D. Mallory is an esteemed social justice leader, advocate, activist and mother. A New York City native, this fiery, outspoken organizer has remained a consistent fixture in the civil rights movement for nearly 20 years. Tamika’s focus on civil and human rights issues includes extensive work around equal rights for women, economic empowerment, gun violence, criminal justice reform and police accountability. Tamika served on the transition committee of New York City Mayor-Elect Bill de Blasio. And Tamika continues to be a significant force amongst government officers, policy makers and other community advocates. As the former Executive Director of the National Action Network to her instrumental role in creating New York City’s Crisis Management System, an official gun violence prevention program that awards nearly $27 million to violence prevention organizations annually; Tamika is stitched into the fabric of the new revolution for civil rights. Most recently, Tamika was one of the four co-chairs for the Women’s March on Washington, the largest single day protest in US history. Tamika is now continuing the mission of the Women’s march on Washington as the co president of The Women’s March Inc.
Tamika’s firm, Mallory Consulting, a strategic planning and event management corporation, works with Fortune 500 corporations and organizations, on flagship projects related to mass incarceration, gun violence and police brutality. Tamika has made the fight for equity her life’s work and she continues this work as board member of The Gathering for Justice organization and an active constituent of the Justice League NYC. Tamika has been honored on the 2017 Time 100 Pioneers list as well as Fortune’s 2017 list of the World’s Greatest Leaders. She is an award winning activist and has been applauded as a leader by President Barack Obama’s administration. A highly sought after speaker, who travels worldwide to speak on the issues plaguing our society and the actions needed to bring forth change, Tamika can be found on many multimedia platforms talking about her work, challenging policies and exposing social constructs that perpetuate injustice. 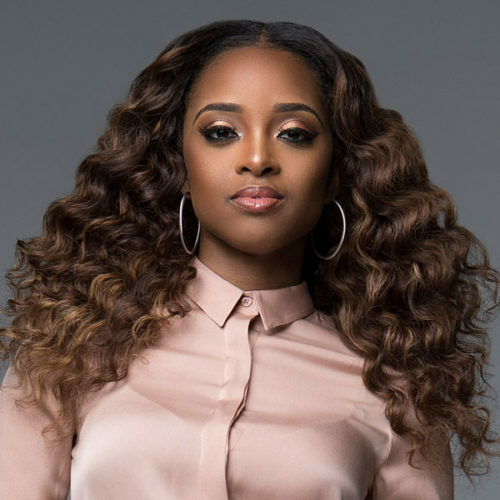 Tamika Mallory is without a doubt a change agent for the future of our country.